Nothing says sunshine and warm weather like wearing flowers in your hair. 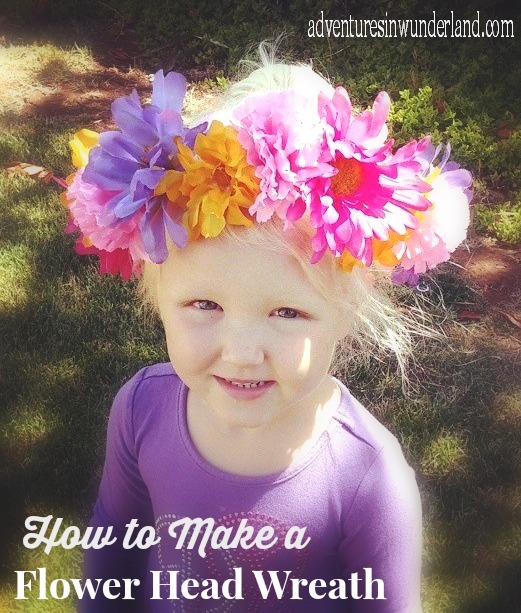 I created these cute flower head wreaths for my girls, and they are a hit! Because you can make these Flower Head Wreathes with just a few materials and no heat tools, they also make a great project for the kids. Below you will find my video tutorial on how to create these simple flower head wreathes for yourself. Create a circular form for the wreath using floral wire. You are Too Too crafty! Love it! And your daughter is adorable!